CCIT and IIT are pleased to announce the opening of Innovation Studios at the George CCIT Lab. Innovation Studios is a quiet, dedicated workspace that faculty can use to create custom digital content for their courses. After an initial training consultation, faculty can create video lectures, multimedia presentations, conduct interviews, or record podcasts. Please Note: Faculty must complete a studio orientation before using the studio. Prior to using the studio, faculty must first attend a studio orientation offered by CCIT. To schedule your orientation, please contact Brad Thompson (bthompso@dtcc.edu, 484-5509 or Tracy Miles (miles@dtcc.edu, 657-5165). The studio is reserved only for digital media projects and can be reserved (by faculty only) by submitting an Innovation Studios Reservation Request. The studio is to be locked at all times. Confirmed reservations are required 24 hours in advance. Walk-in appointments cannot be accommodated. Equipment must be used in the lab and cannot be removed. Innovation Studios cannot accommodate the recording of musical projects. Consultations are meant to teach essential skills for projects only, not to complete projects for faculty. Please Note: Studio is available by appointment only. Faculty must complete a studio orientation before using the studio. The studio may be booked in 1 or 2 hour blocks. After submitting the request form, faculty will receive a response from CCIT to confirm the reservation. Existing reservations are viewable on the Innovation Studios Calendar. Please Note: Faculty should bring a USB drive to save video projects. The studio computer will be wiped regularly, and files will be deleted. Computer: Windows PC with Interactive Pen Display Wacom Cintiq 22HD monitor. 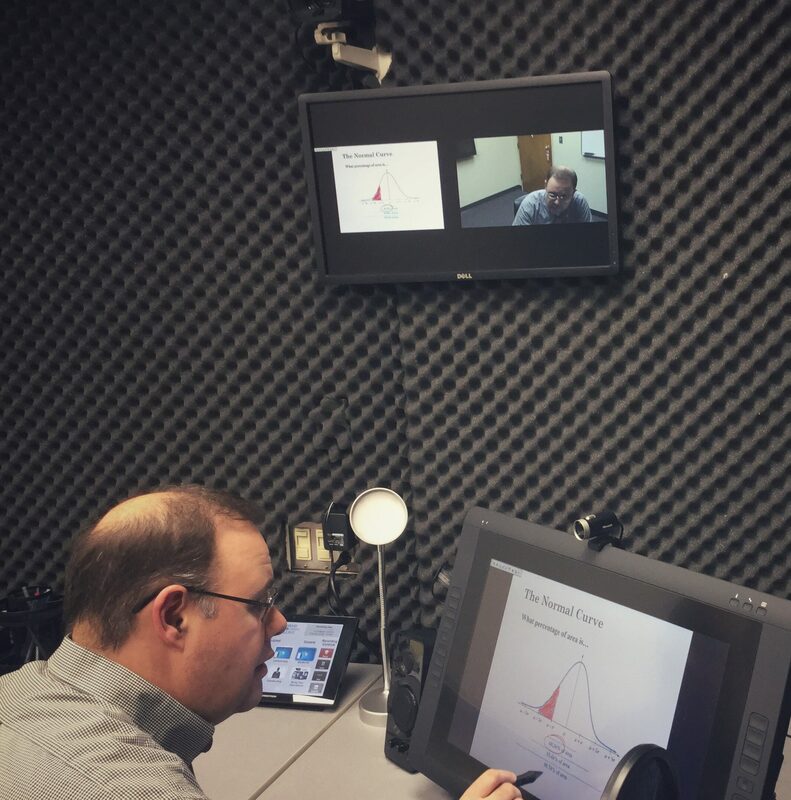 Innovation Studios at the George CCIT Lab offers several recording options, allowing faculty to record content standing with a 60-inch interactive HD screen, or seated using a 22-inch Wacom pen display monitor. While using picture in picture mode, instructors can deliver a lesson alongside their slides, making for a more engaging lecture capture video. The studio is also equipped with a variety of microphones, including wireless in-ear and condenser mics, to record high quality voice over and narration. With the interactive control panel, users can set their desired recording mode with a simple touch of the screen, and have the video saved to their USB device. 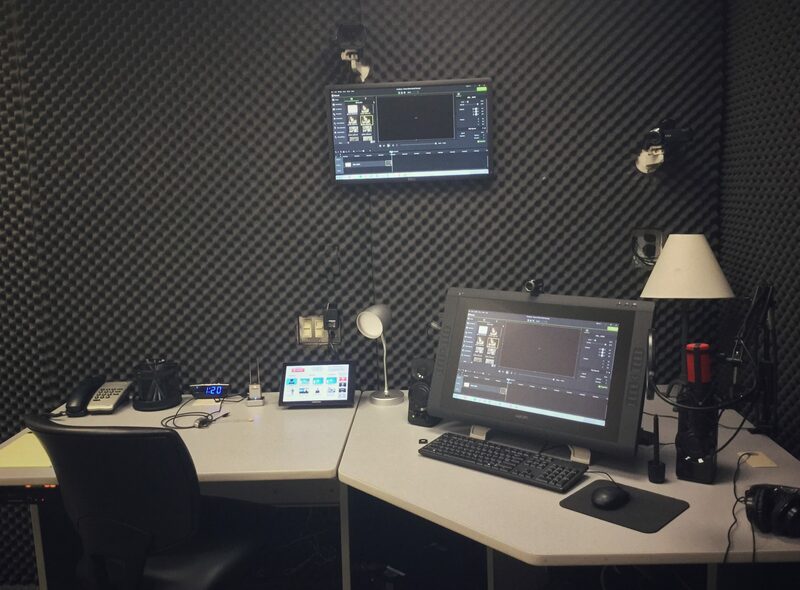 For additional editing capabilities, the studio is equipped with Camtasia software to prepare videos for posting online. So whether you’re new to recording or a film pro, we’re confident that Innovation Studios can help support your continued innovation in teaching and learning here at Delaware Technical Community College.